ASTM B127 is the standard specification for the nickel-copper alloy Monel 400 (UNS N04400) plate, sheet and strip. The Monel 400 material supplied by Metals-Piping can be either hot rolled or cold rolled which are further classified by thickness. 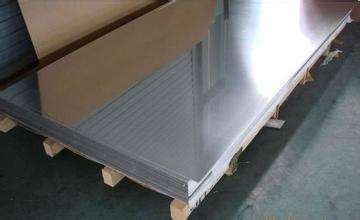 *Materials with thickness 4.8 mm≤T≤6.4 mm may be furnished as sheet or plate. *Materials with width W＜48″[1219 mm] shall be furnished as sheet or strip. Monel 400 plates, hot rolled, 2.2m x 1.26m x 26mm, ASME B127 UNS N04400. *All the values are for product analysis. 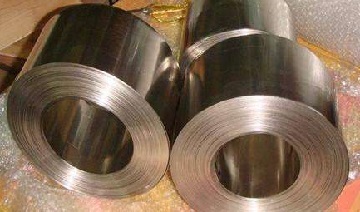 Monel 400 strips in coil, cold-rolled with bright annealed finish. ksi [MPa] Yield Strength, min. ksi [MPa] Elongation in 2”, min. *Stress relieving heat treatment shall be conducted on as-rolled plate. *Yield strength requirements don’t apply to material under 0.51 mm in thickness. 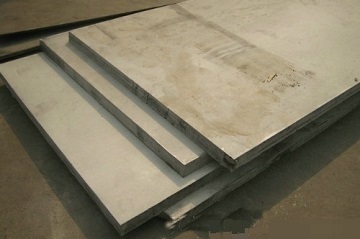 Monel 400 sheet 1.65m x 0.8m x 3.6mm. *Contact us to get the unspecified value in the table. For cold rolled sheet and strip of deep-drawing and spinning quality, the Monel 400 material shall be furnished with corresponding grain size 3.5, 4.5, or 5.5 respectively depending on its specific thickness and width. The hardness shall not exceed 76 HRB.